It is not uncommon for partners, directors and shareholders to disagree during the course of business, though on certain occasions disagreements can turn into substantial disputes costing you and the business considerable time and money if not dealt with in an efficient manner. Where this is the case, it is important to understand your company and directors’ roles, duties and obligations. Equally important is the ability to limit any damage potential litigation could cause to your business. 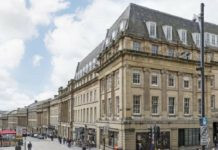 Vardags are highly experienced in dealing with all matters relating to company, partnership and LLP disputes and can act for both companies and directors/shareholders individually. Vardags offer strategic and geared advice to ensure the best and most suitable outcome for you and your business. We understand that your time is precious and will take all reasonable steps to ensure that your management time in dealing with your matter is used in the most efficient and effective way. I am concerned about minority shareholder action. The Companies Acts of 1985 and 2006 provide shareholders with specific rights. Your company’s articles of association and/or a shareholders’ agreement may confer additional rights to shareholders. It is important that the company understands their shareholders’ rights particularly when shareholder action is threatened. Shareholder actions can take the form of unfair prejudice petitions, derivative actions and winding up petitions. 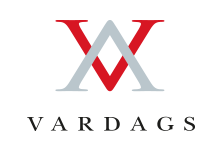 The experienced team at Vardags will work with you to formulate strategies to avoid litigation and court action. Where proceedings have already been issued, Vardags can provide you with expert advice on defending claims and simultaneously explore ways of settling claims to minimise the risk of reputational damage and cost exposure. I am concerned that a member of the board is in breach of their director’s duties. All directors owe their company duties under the Companies Act 2006. These include, but are not limited to, the duty to exercise reasonable care, skill and diligence and promote the success of the company. If you suspect that a director is breaching their fiduciary duties to the company and require expert strategic advice, Vardags can assist you. Being experienced in both litigation and employment law, Vardags can also help you navigate resignation procedures and risk management. I am concerned about an upcoming general meeting. 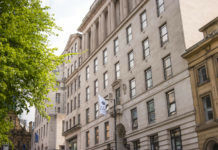 Both shareholders and directors have the ability to call a general meeting providing the requisite steps have been taken in accordance with the Companies Act and the company’s articles. In anticipation of a general meeting, those calling the meeting may circulate proposed resolutions, which can include resolutions for the removal of directors. If you are faced with an upcoming contentious general meeting and require advice on any aspect of the meeting from advice on the validity of a notice of general meeting to navigating a meeting with dignity when you become the subject of scrutiny, Vardags can assist. I am concerned about a director’s personal insolvency. A person may not operate as a director whilst they are subject to a bankruptcy order without the court’s permission. Losing a key member of the board can have significant consequences for the company and its future. Vardags can advise your company of the consequences of a director’s bankruptcy and the effect it may have on your continuing business, lending arrangements and company structure. I am concerned about a director/partner/member leaving the organisation. It can be daunting when a senior employee leaves an organisation, not only because of the loss to the business but the potential confidential information they hold by virtue of their seniority. Vardags can advise on all aspects of director/partner exits from their post termination restrictions, breach of confidentiality to their rights and continuing obligations under any partnership/shareholder agreement. I am concerned about my duties and responsibilities as a director. If your company or board are taking action against you for breach of your fiduciary duties, you will need fast and pragmatic advice. Vardags can assist you either in an advisory capacity or in any proceedings under the Director Disqualification Act. I am concerned about a personal guarantee. In specific circumstances, directors may be required to provide personal guarantees when a company borrows money. A director’s personal guarantee creates a secondary obligation to support the primary loan. This means that if the company defaults in any way, the lender may call on the personal guarantor to fulfil the borrower’s obligations (usually payment obligations). Vardags are experienced in advising clients in situations where a lender has taken steps to enforce a personal guarantee against director(s). We will investigate all scenarios to see whether your liability under the guarantee may be discharged or reduced or whether there are any circumstances which may give rise to the guarantee being set aside. Vardags also advise clients in situations where bankruptcy petitions are presented against personal guarantors who have failed to pay sums to a lender under a personal guarantee. 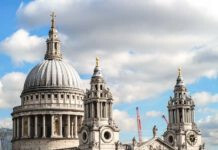 Equally, Vardags can act for directors defending proceedings issued against them by lenders whether for the recovery of debt or where charging orders are sought against guarantors.